The project's name is "Blended Learning Quality-Concepts Optimized for Adult Education" and is a Multilateral Grundtvig Project with the EU project number 539717-LLP-1-2013-1-IT-GRUNDTVIG-GMP. The coordinator is DigiLab (IT) from the university of Rome "La Sapienza". The project is based on the expertise of the Grundtvig Learning Partnership 2009-1-IT2-GRU06-06438. 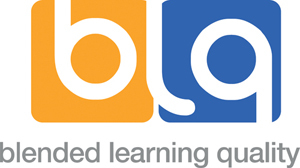 Blended Learning (bLearning) was recognized as a teaching method of high potentials. Contrary to the widely approved e-Learning, which is scientifically documented and indicated certain standards of quality, Blended Learning is self-explanatory, while it is one of the main issues in various case studies. Nevertheless, ther are barely precise quality standards so far. This is the main goal in this project: To develope an appropriate quality framework as well as tools to evaluate the quality of Blended Learning. Our target group is the typical adult learner; the quality concept will be developed in order to best fitting the needs and learning conditions of adult learners. Nevertheless, Blended learning is used especially in Higher Education as well as in Vocational Education and Training. The developed quality framework can be used in these fields of teaching as well. To attain such an appropriate Blended Learning environment including a well developed quality framework it is essential for the trainers to learn how to implement the necessary quality fields. Additional confidence in the usefulness of the final results is considered crucial.